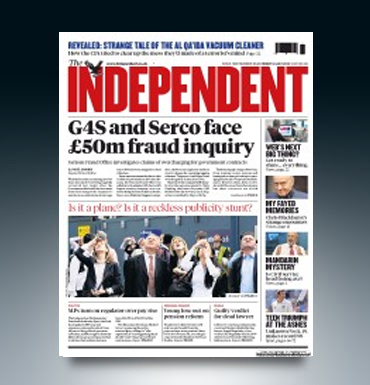 When G4S worker Nigel Mills blew the whistle on how the security firm was failing in its duties his complaints became front page news. Mr Mills turned to JHA after suddenly finding himself in the middle of a media storm. JHA set up a joint interview with the Mail on Sunday and Sunday Mirror newspapers and then organised a variety of broadcast interviews that Mr Mills felt comfortable with.